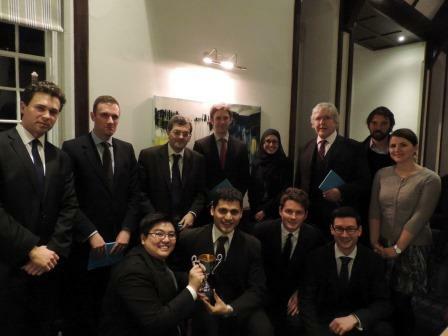 The University of Oxford JustCite Procedural Justice Mooting Shield 2014 is a new addition to the Law Faculty’s mooting programme, and proved to be a wonderful occasion. The oral rounds saw 24 undergraduate and postgraduate students gather at Keble College on Tuesday 25th February 2014 for nuanced discussions of some thorny issues regarding closed material proceedings and the right to a reasoned decision. This year we were delighted and privileged to welcome the Hon Sir Clive Lewis and Mr Martin Chamberlain QC as judges of the Grand Final. 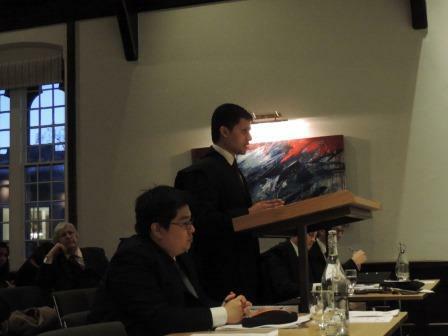 Jagdish Menezes (Exeter) and Darius Tay (St Edmund), appearing as the respondents, were declared the winners, despite spirited submissions from the appellants Ryan Harvey (St John’s) and David Heaton (St John’s). The Law Faculty is most grateful to JustCite for its generous support.